3). Bibles used by Presidents of the USA for their oaths of office at their Inauguration Ceremonies. The objective of this NOI is to include selected digital United States of America Heritage eDocuments into electronic memory aboard a NASA space satellite. The satellite is named the Science Mission Directorate (SMD) NASA Science/Technology Platform Satellite (NSTP-Sat). In the 2021 timeframe, America’s space agency plans a possible launch of this satellite to Earth, Lunar, or Solar orbit. These USA Heritage eDocuments were chosen because they represent the beginnings and essence of the USA at its founding. If nuclear wars or other catastrophes on Earth result in the original Documents being destroyed, future generations in space should be able to discover, retrieve, and review these electronic copies from the satellite so that they could find, salvage, and utilize these valuable concepts. a) to acknowledge that NASA has been established and primarily funded by the government and taxpayers of the USA. The results of their space explorations have been new science and knowledge benefiting everyone on Earth. b) to commemorate and preserve the selected Founding Documents of the USA from the 18th century and their continuance into the 21st century. These key Documents have guided this country’s people well. d) to recognize that funded NASA’s scientific achievements have been made possible over the years by thousands of people from many countries, because of the freedoms available in the USA and elsewhere on Earth; these people applied their talents, time, lives, and hard work to the missions of NASA. 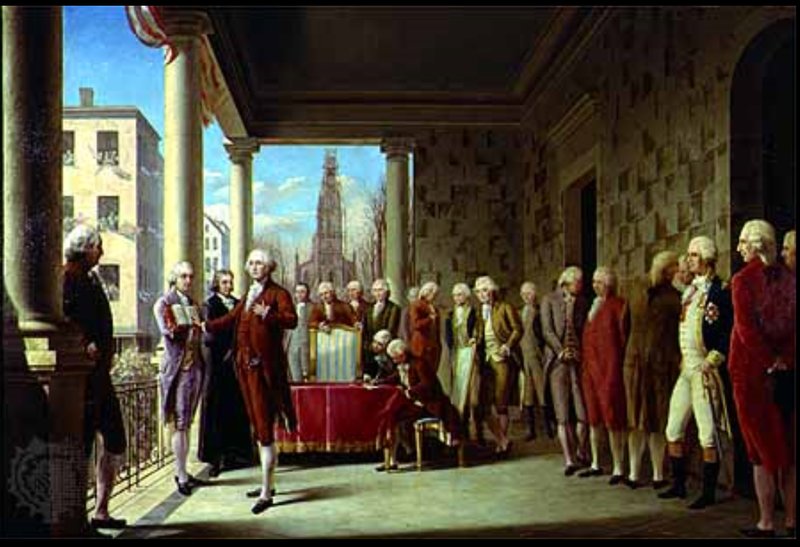 1) Declaration of Independence, 1776. 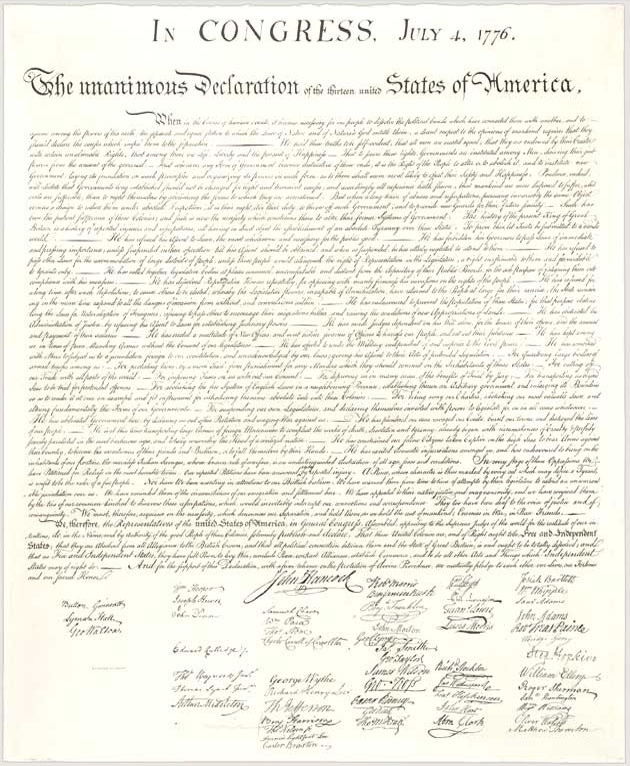 (Source: The U.S. National Archives and Records Administration) This Declaration showed the resolve of the colonial people for independence and formation of a new country, and for human rights which we still embrace today. 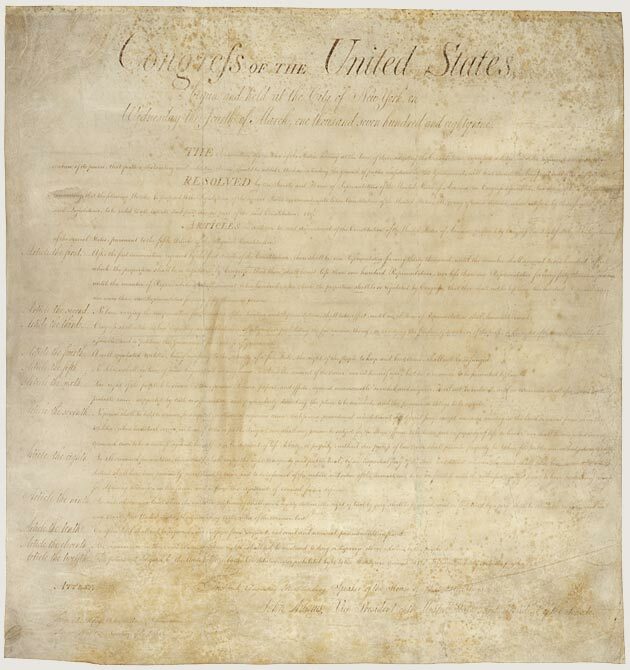 2) Constitution of the USA, 1789, and attachment of all Amendments as of 2017. 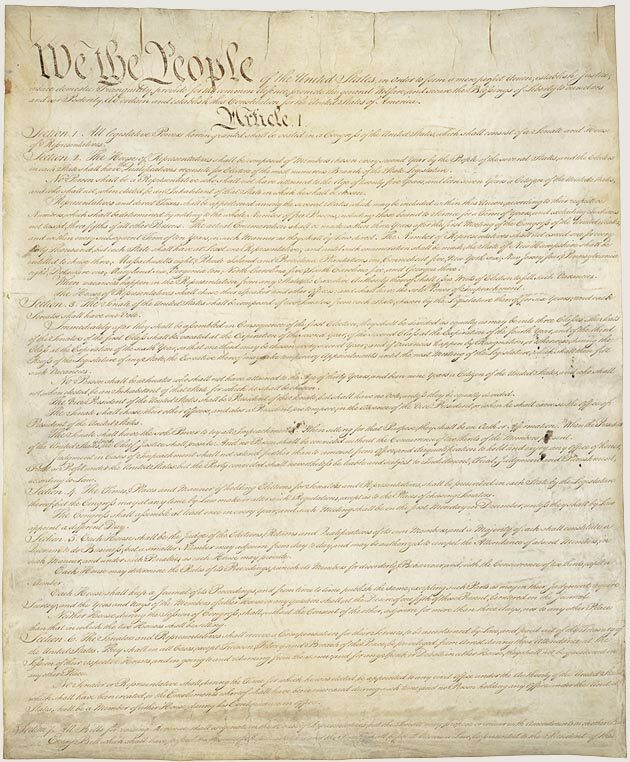 (Source: The U.S. National Archives and Records Administration) Since the Constitution of the USA first came into force, there have been 27 amendments to meet the changing needs of our nation, beginning with the Bill of Rights to protect individual freedom, justice and liberty, as well as to continue to place restrictions on the powers of government. 3) Bibles used by Presidents of the USA for their oaths of office at their Inauguration Ceremonies. In the colonies, the Bible was widely read and most people at that time knew of its contents because it had become part of the culture of those times. 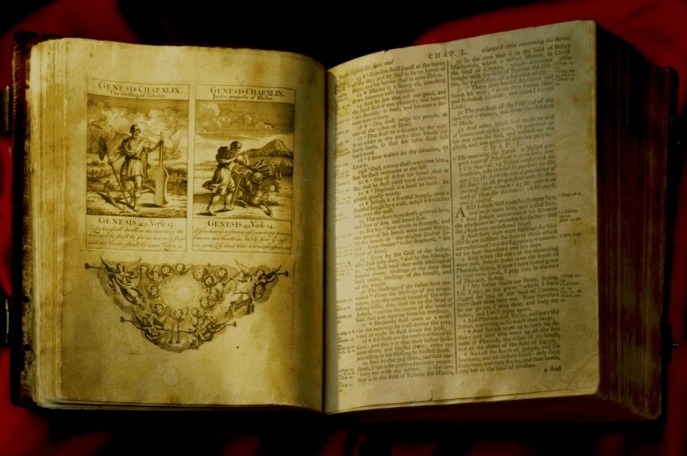 The copyright holder of this first inaugural Bible has not given permission to copy it for purposes of these USA eDocs and this launch into outer space. Therefore, this #3 part of the NOI needs to be changed as described below. That Bible is a King James Version (KJV). Therefore, a copy of the KJV which is in the Public Domain will be included on the memory chip. However, the art, graphics, maps, text, notes, etc. of the original Bible cannot be included. Most of the Presidents of the USA have used a KJV Bible while taking their oath of office. One who did not was John F. Kennedy who used the 1850 edition of the Douay English Translation Version which is an older Roman Catholic Version. Instead, a copy of the Douay–Rheims Bible Version which is in the Public Domain may be included on the memory chip. 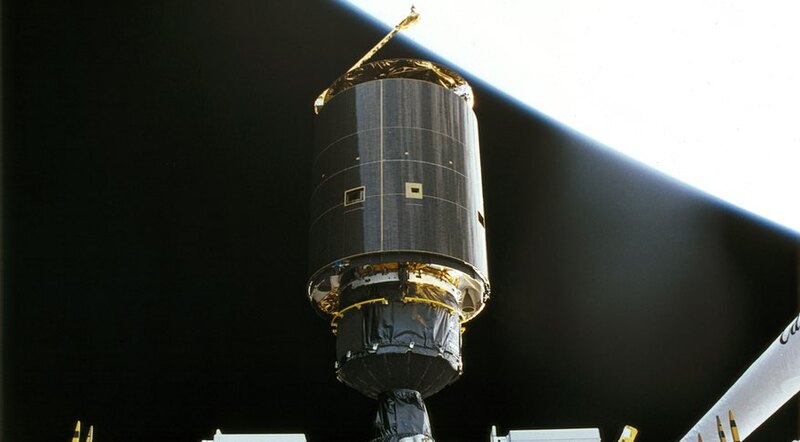 In this proposal, one objective is to avoid any commercialization or exploitation of the USA Heritage Documents and files copied to the memory chip placed in the Satellite. This knowledge is for the free benefit of people now as well as those in the future. 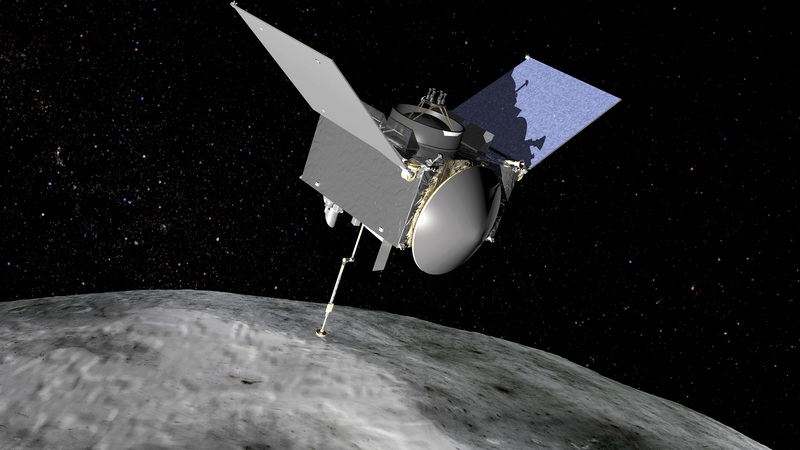 The memory chip (shielded for space travel) can be securely attached inside the Spacecraft as was successfully accomplished on the OSIRIS-REx Mission in 2016. 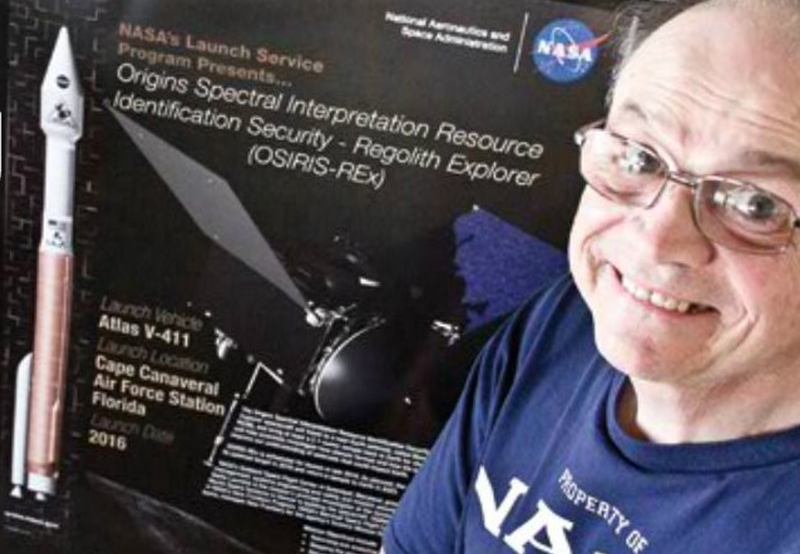 A precedent for inclusion of information about the culture of the USA and other countries has been set by NASA missions of: Voyager, Pioneer, New Horizons, Apollo, International Space Station ( ISS ), and most recently, OSIRIS-REx. These missions as well as astronauts have included personal and organizational items. This Proposal uniquely includes the 3 eDocuments voted most influential of USA Heritage Documents at the US National Archives and Records Administration by the "People's Vote." NEXT STEPS: Based upon the ideas submitted in response to their Request for Information, NASA will notify NOI submitters if they have determined to proceed with a launch of NSTP-Sat. Responders will then have time to develop the formal details including technical, financial, operational, schedule, etc. NASA guidelines for proposal submission would apply. I am looking forward to submit a formal proposal. Should you have any suggestions or ideas, please contact me (KenKozy@KenKozy.com). In 2016, the author of this NOI, Kenneth R. Kozy, submitted his eBook which NASA placed on a memory chip inside the OSIRIS-REx Satellite. Description of that event as well as a copy of those electronic Documents are available at (CLICK >> www.KenKozy.com) which includes the author’s biography and curriculum vitae. Required technology, budget and specifications are discussed in (CLICK >> ) “Requestor Information” of the NOI. 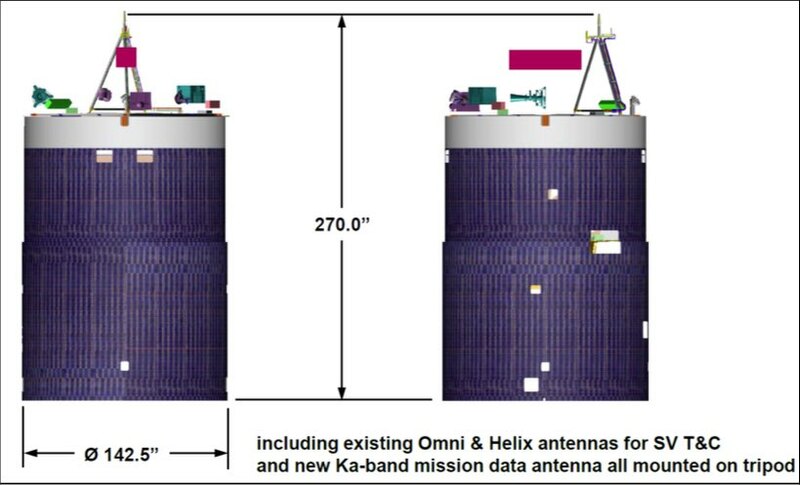 Those requirements are minimal and are the same as those of the OSIRIS-REx mission which set a precedent of adding a memory chip to the satellite for personal passive-data supplied by the public. REFERENCE: PI Kozy, Kenneth – 1 – RFI NNH17ZDA002L (Request for Information). C9 Copyright St. John's Lodge No. 1, A.Y.M., All Rights Reserved. My web site contains "fair use" material for personal education and is commercial-free and ad-free. All copyrighted material are the property of the respective owners and all their rights are reserved. Any downloadable items which I have written are free.